Northern Souls Top 500 part 1. 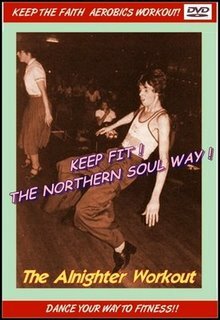 Northern Soul is the term used in the UK for a type of mid-tempo and uptempo heavy-beat soul music (of mainly African American origin) that was popularized in northern England in the mid 1960s. The term also refers to the associated dance styles and fashions that emanated from the Twisted Wheel club in Manchester and spread to other dancehalls and nightclubs; such as the Golden Torch (in Stoke-upon-Trent), the Blackpool Mecca, and the Wigan Casino. 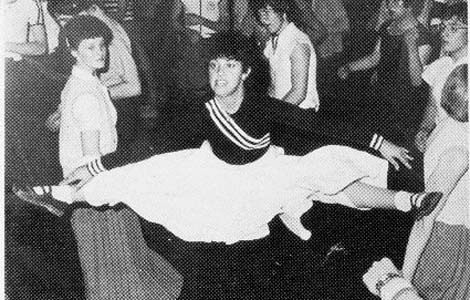 Northern soul dancing was usually athletic, resembling the later dance styles of disco and break dancing. Featuring spins, flips, and backdrops, the northern soul dancing style was inspired by the stage performances of visiting American soul acts such as Little Anthony & The Imperials and Jackie Wilson.The music that has been described as northern soul originally consisted of obscure American soul recordings, including lesser known songs from Motown Records, Stax Records,Okeh Records and many more obscure record labels. The phrase northern soul was coined by journalist Dave Godin and popularised in 1970 through his column in Blues and Soul magazine. 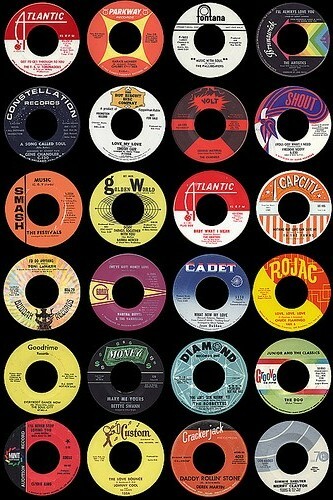 In a 2002 interview with Chris Hunt of Mojo, he explained that he had first come up with the term in 1968 as a sales reference for use in his record shop in Covent Garden,to help staff differentiate the more modern funkier sounds from the smoother,Motown-influenced soul of a few years earlier:I had started to notice that northern football fans who were in London to follow their team were coming into the store to buy records, but they weren't interested in the latest developments in the black American chart. I devised the name as a shorthand sales term. It was just to say 'if you've got customers from the north, don't waste time playing them records currently in the US black chart, just play them what they like - 'Northern Soul'. A large proportion of northern soul's original audience came from the mod movement. Some mods started to embrace the freakbeat and psychedelic rock of the late 1960s, but other mods - especially those in northern England - stuck to the original mod soundtrack of soul and blue beat. Some mods transformed into what would eventually be the skinheads, and others formed the basis of the northern soul scene. Early northern soul fashion included bowling shirts, button-down Ben Sherman shirts, blazers with centre vents and unusual numbers of buttons, Trickers brogue shoes, baggy trousers or shrink-to-fit Levi's jeans. Many dancers wore badges representing membership to clubs organised by dance halls. The first nightclub that effectively defined the northern soul sound was Manchester's Twisted Wheel Club. Other early clubs were the The Mojo in Sheffield, The Catacombs in Wolverhampton, Golden Torch in Stoke, Room at the Top in Wigan, the Wigan Casino, the Blackpool Mecca and Va Va's in Bolton. The music reached its peak of popularity in the mid to late 1970s, when Wigan Casino was voted the world's number one discotheque. Thousands of people visited every week, but the exclusive and underground appeal of the music was lost and many of the hard-core soul fans drifted away. When Wigan Casino shut down in 1981, many believed the northern soul scene was about to end. However, the 1970s mod revival and the later scooterboy subculture produced a new wave of fans. The 1980s — often dismissed as a low period for the northern soul scene by those who had left in the 1970s — featured almost 100 new venues in places as diverse as Bradford, London, Peterborough, Leighton Buzzard, Whitchurch, Coventry and Leicester. Pre-eminent among the 1980s venues were Stafford's Top of the World and London's 100 Club. 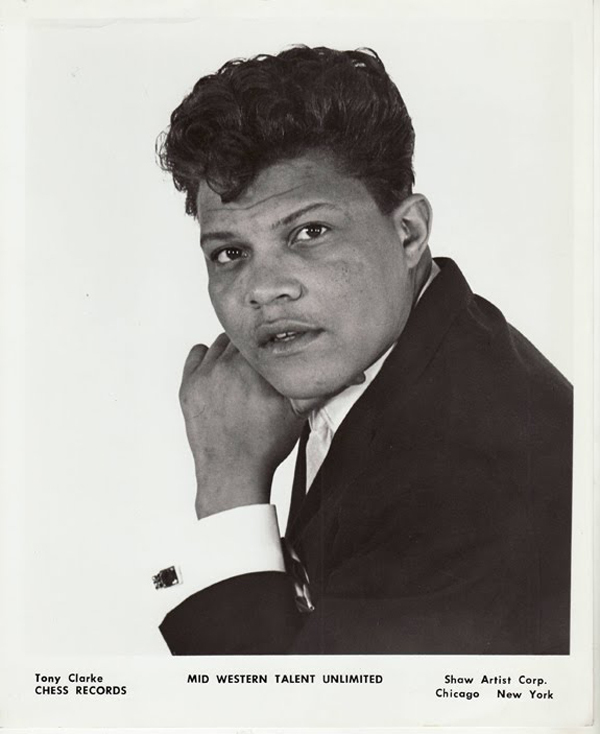 Previously, most of the songs played at northern soul clubs had been fast stompers by American blacks, but 1980s northern soul DJs began to add mid-tempo tunes, slower ballads and songs by non-African-American acts such as Gale Garnett. 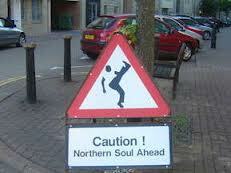 Northern Soul refers to music and dance styles popular in the dancehalls of northern England from the late 1960s. In the beginning, the dancing was athletic, featuring spins, flips, and drops. The music consisted of obscure American soul recordings with a fast beat, very similar to Tamla Motown and rare labels (for example Okeh) along with a several blue beat records. 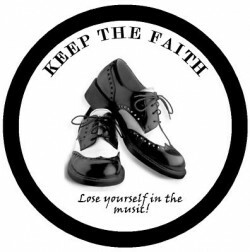 Much of Northern Soul music was recorded in the northern states of the US, although music from the South is not excluded, neither is music that is not strictly "soul". By 1970, UK artists were recording tunes for this market, and the rarity of soul records with the required rhythm led to the playing of stompers, tunes by any artist that featured the right beat. 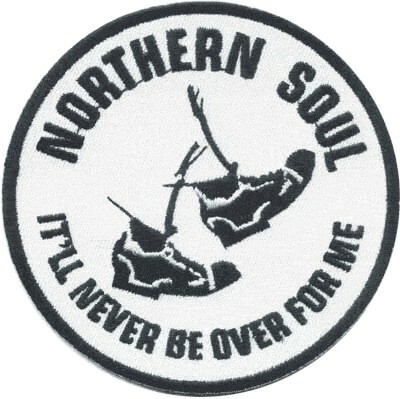 The term 'Northern Soul' was coined by journalist Dave Godin after visiting the Twisted Wheel Club around 1970 for his column in Blues and Soul magazine. 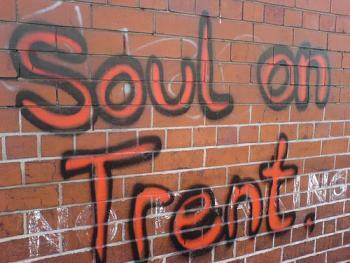 A large proportion of Northern Soul's original crowd came from the mod movement, with their passion for soul music. As some mods turned moved away from these sounds to embrace the psychedelic movement of the late 1960s, many mods - especially those in northern England - chose to stick to the original sound track of soul and ska. Some became what would eventually be known as skinheads, and others went on to form the core of the Northern Soul scene. Early Northern Soul fashion included US bowling shirts, button-down Ben Sherman shirts, blazers with centre vents and many buttons, Poly-velt shoes, baggy trousers or shrink to fit Levis. Many dancers wore club badges. 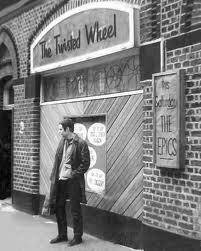 The first venue that effectively defined the Northern Soul sound was theTwisted Wheel Club in Manchester. 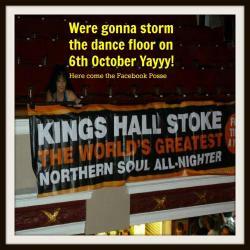 Other early clubs included the Golden Torch in Stoke, the Casino Club in Wigan, Blackpool Mecca, The Catacombs in Wolverhampton, North Park in Kettering, The Mojo and KGB clubs in Sheffield, the Winter Gardens in Cleethorpes (still hosting Northern Soul events today), and Va Va's (where Richard Searling used to DJ). Northern Soul is possibly the most expensive of musical genres to collect. Hundreds of 7" vinyl records have broken the £1,000 ($2,000) barrier. Frank Wilson's "Do I Love You" sold recently for £15,000 ($30,000). 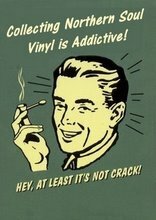 The cost of many records has risen due to rarity, quality of beat, melody and lyrics (often expressing heartache, pain or joy related to romantic love). In recent years, many Northern Soul fans went on to add to their collections and accepted the richer and more complex Modern soul sound in the early-1970s and beyond (eg. Garfield Fleming's "Please Don't Send Me Away"
Many Northern Soul artists sought fame without all of the necessary ingredients in place. Small town low-budget independent labels couldn't provide the necessary promotion and radio play. Many artists went back to their day jobs, considering themselves failures, their records vanishing into obscurity, until they were discovered by the Northern Soul scene. Tunes by the Fascinations and the Velvelettes that were unsuccessful in the the 60's became top 40 UK hits in the 70's. The Fascinations made number 30 with "Girls Are Out to Get you" and the Velvelettes made number 35 with "These Things Will Keep Me Loving You. Some artistes have toured the UK to perform their golden oldies at all-nighters, often many years after the original releases. In the 21st century, rare 1960s soul sounds are still being discovered by devotees, and Northern Soul is going strong right around the world, with strong scenes in Germany and Australia to name but a few places. The Motown Sound is a style of soul music with distinctive characteristics, including the use of tambourine along with drums, bass instrumentation, a distinctive melodic and chord structure, and a "call and response" singing style originating in gospel music. 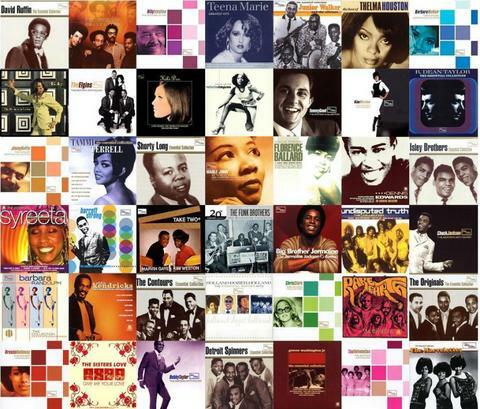 Although developed and primarily championed by the artists, songwriters, musicians, and producers at the Motown Record Corporation in Detroit , Michigan, the Motown Sound was a major influence on pop and R&B music of the 1960s, and several non-Motown artists of the mid-1960s recorded in styles which approximated the Motown sound. Among the most important architects of The Motown Sound were the members of Motown's in-house team of songwriters and record producers, including Motown founder Berry Gordy, William "Smokey"Robinson, Norman Whitfield & Barrett Strong, and the team of Brian Holland, Lamont Dozier and Edward Holland, Jr., collectively known as Holland-Dozier-Holland. Crucial to the sound was the work of Motown's in-house band, The Funk Brothers, who performed the instrumentation on most Motown hits from 1959 to 1972. However, according to Berry Gordy, "the Motown sound is made up of rats, roaches, and love" (from Wikipedia) It's hard to choose which are the best examples of The Motown Sound. Anyway here are a few i have listed on the left, but tomorrow you can choose completely different songs from that golden Motown era. There are so many good Motown songs and artists. Personal disclaimer: All music on Northernsoultrain is intended to be for artist identification and educational purposes only and seen as "Fair Use". All rights remain with the appropriate owners, be it labels, writers or artists. Copyright owners who wish any music content included within this site to be removed will be treated with respect, and the music removed promptly. This is a non profit making site. No infringement is intended, none whatsoever. Copyright Disclaimer under section 107 of the Copyright Act 1976 makes allowances for "Fair Use". "Fair Use" is permitted by Copyright Statute that might otherwise be infringing. "Fair Use" meaning for purposes such as criticism, comment, news reporting, teaching, scholarship and research. Non profit, education and research tip the balance in favour of "Fair Use. Please take the time to sign my guest book before you leave.